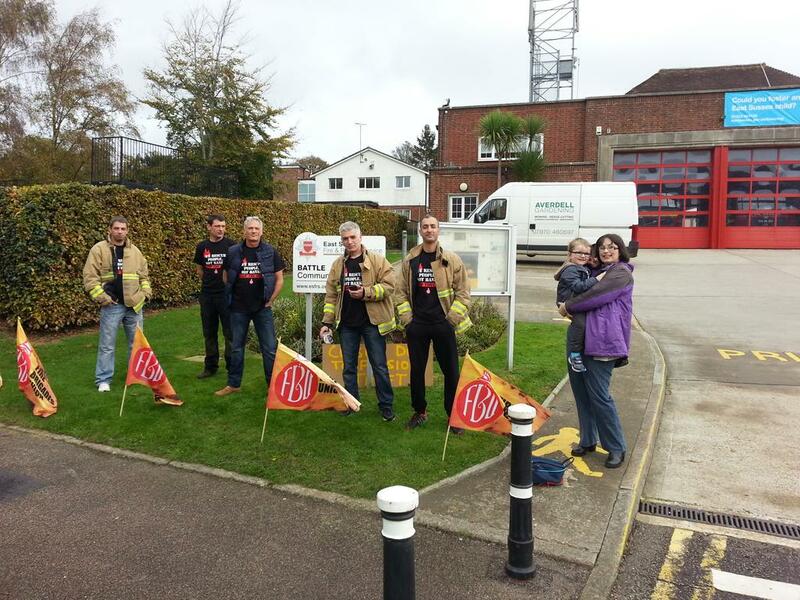 For over a year now firefighters have been striking against Coalition attacks on firefighters’ pensions and the reckless cuts to the Fire & Rescue Service – cuts happening nationwide, not just across Sussex. 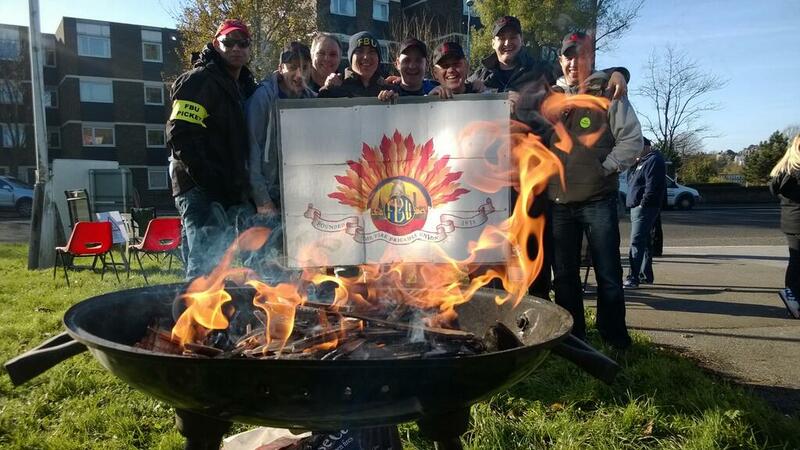 Please stand together with firefighters as they take action again on Tuesday 9 December 2014. 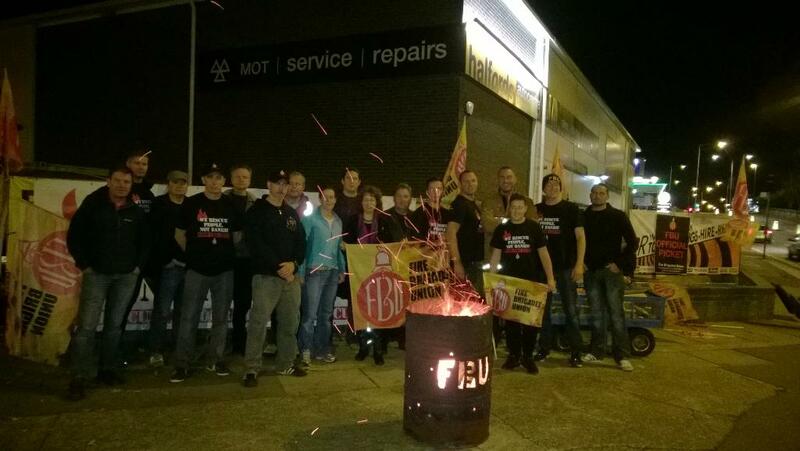 Support picket lines outside fire stations in East and West Sussex. During 2014 Sussex has been battered by storms and flash floods, including the tail-end of hurricane Bertha. We have seen the resulting travel chaos on road and rail, plus numerous major fires, most notably the devastating blaze on Eastbourne Pier. Why doesn’t the Coalition recognise the work of the Fire & Rescue Service during floods, give it statutory responsibility to deal with flooding and the necessary funding? Rather, the Coalition continues to cut Fire Service budgets and force through an increase to firefighters’ retirement age from 55 to 60, with plans to reduce a key firefighter fitness standard from 42 to 35 VO2. Such a drop in fitness of nearly 20% will put everyone’s lives at risk in the emergency situations when we most rely on our rescue services. 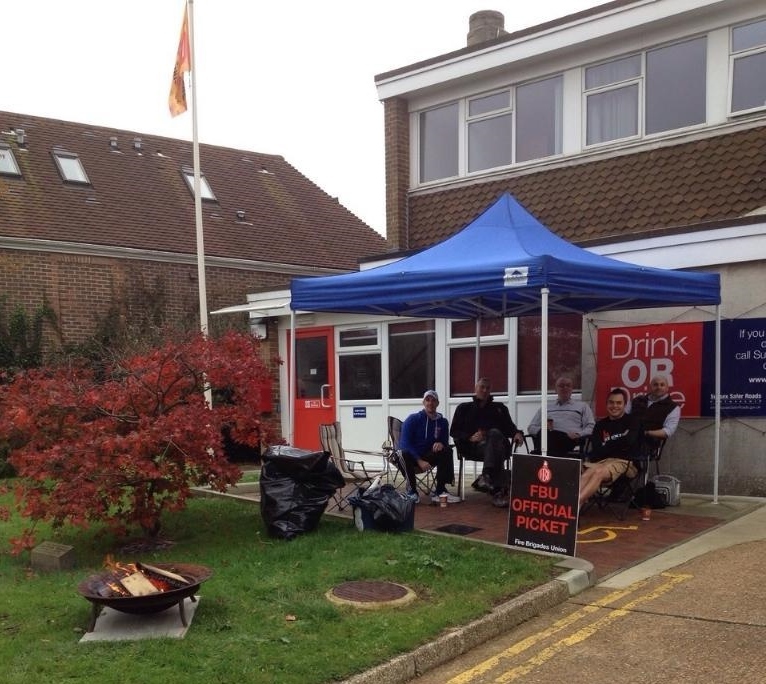 Do we want to test whether crews of 60 year old firefighters could have coped with 2014 in Sussex? We now have Cameron’s third Fire Minister in four years, but Tory MP Penny Morduant has carried on as before by dissembling to the FBU leadership, trying to ignore firefighters’ elected representatives and issuing misleading press releases, rather than entering into a constructive dialogue to settle this dispute. The responsibility for next week’s strike, as with earlier strikes, lies entirely with the Coalition. 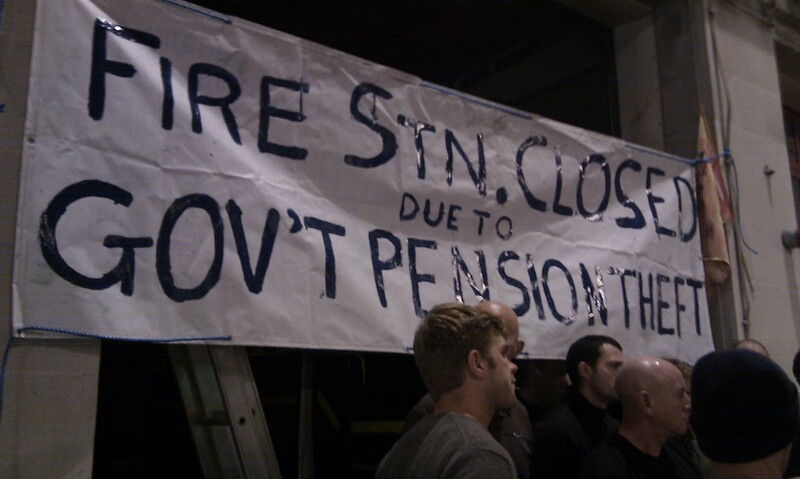 Please support the FBU’s Hands Off Our Pensions campaign. Recently Morduant met with Brighton Tory MP Simon Kirby but discussed only roads – not the reckless cuts to East Sussex Fire & Rescue Service, which will particularly hit emergency cover in Hove, Brighton & Hastings. 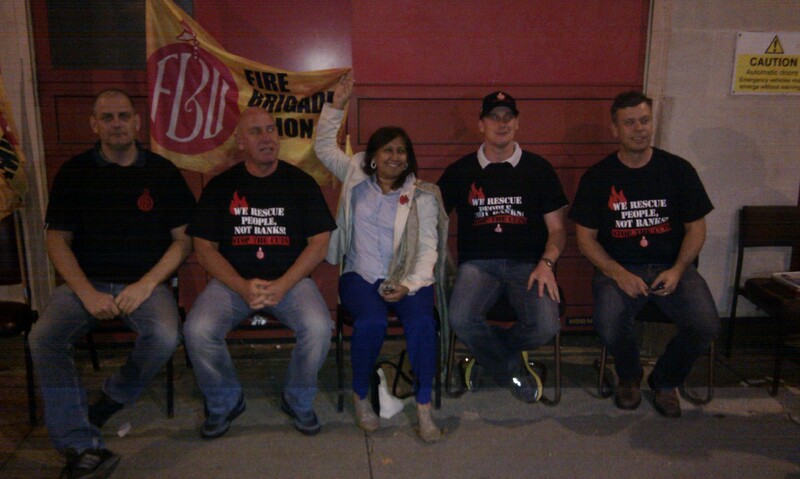 Still only 1 Sussex MP is among the 260 MPs to have signed EDM454 to defend firefighters’ pensions. Keep urging your MP to sign up until the deadline of 11 December and also ask MPs to support Labour’s call for a parliamentary debate of this Early Day Motion. You can also ask your local councillors to pass an emergency motion in support of local firefighters in their pension dispute. Firefighters remain united and determined. Please show firefighters your support by standing with them on FBU picket lines at local firestations, sending solidarity messages and posting support on social media. Firefighters are there for all of us, providing fire and rescue services in the most dangerous of conditions, whenever needed. 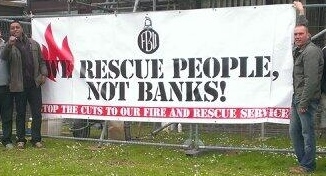 This is routine for firefighters, who are deeply committed to their local communities and do not take strike action lightly: “People do not become firefighters to become rich…(but) to serve the public, to put other people first, to risk their lives to save others” Simon Herbert, Chair, East Sussex FBU. On Tuesday 9 December, please make an effort to show firefighters your appreciation and support. 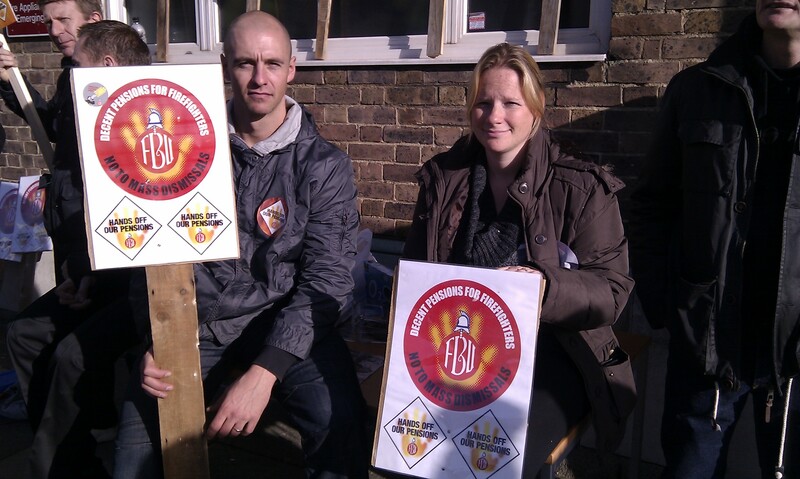 If you cannot attend a picket at your local firestation, please ensure that you have supported the FBU campaign Justice for our Firefighters by signing the petition calling on East Sussex Fire & Rescue Service to pay the compensation due to the families of Brighton firefighters Brian Wembridge and Geoff Wicker, who were killed at Marlie Farm in 2006. It is nothing short of a scandal that East Sussex Fire Authority members allow ESFRS management to continue to contest this case despite damning court judgements. Remember, an attack on workers’ pensions is always the first step of a government preparing to sell-off a public asset, as private companies do not want the open-ended liability of paying staff pensions. Cutting a service to the bone is the second step – in an attempt to persuade people that the service could be better run privately. 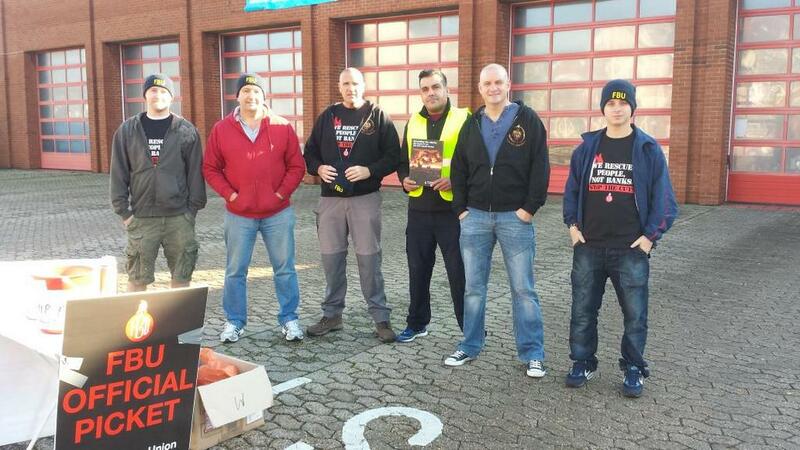 Please support firefighters’ picket lines during this 24 hour strike from 9am Tuesday 9 December to 9am Wednesday 10 December 2014. The Fire Service is facing huge cuts under the Coalition. 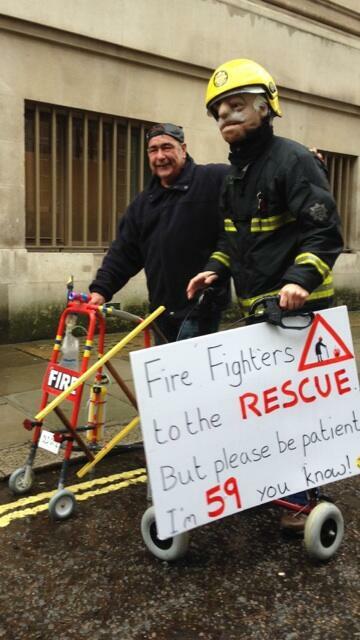 We must stand together with firefighters now to defend our Fire Service. This must include demanding the reinstatement of firefighter Ricky Matthews, who was sacked by Buckinghamshire Fire & Rescue Service for participating in the last strikes. ← No Justice! No Peace!